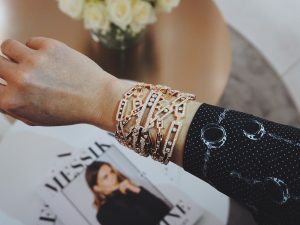 After a short visit at the world’s biggest watch event Baselworld being amazed by lots of watch masterpieces, I came back with a few favourite ones. I will tell you all about it through several posts but I’d like to start with a BIG high five to Corum. 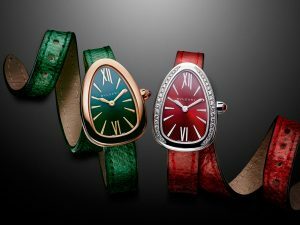 The Swiss brand clearly differentiates itself from the competition not only by the design of its watches but also by their spirit. The oversized Bubble watch is the best proof you can get of that. Why that? Because no matter what people say, size counts! 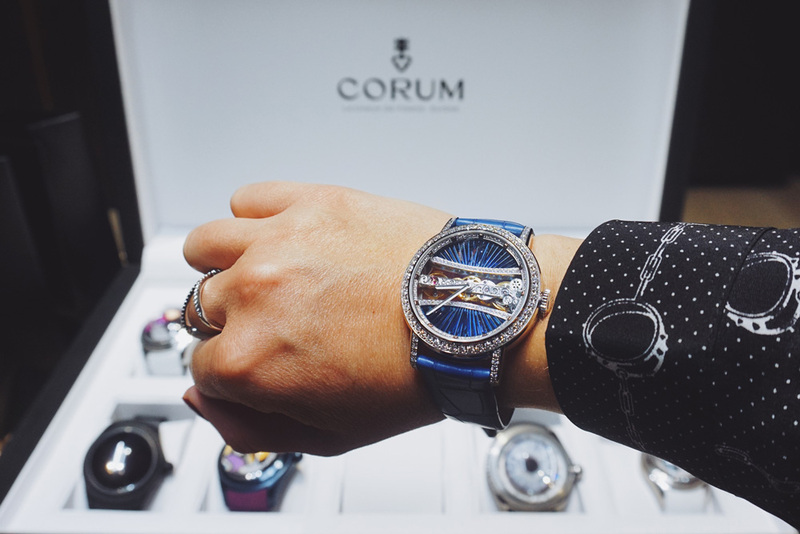 I had the chance to be privately presented a special selection of Corum pieces by Marketing Director Frederic Layani and I have to say his passion for the brand made me fall in love for it. Having worked for brands such as Tag Heuer or Nespresso he seems to be bringing Corum exactly where it needs to be. 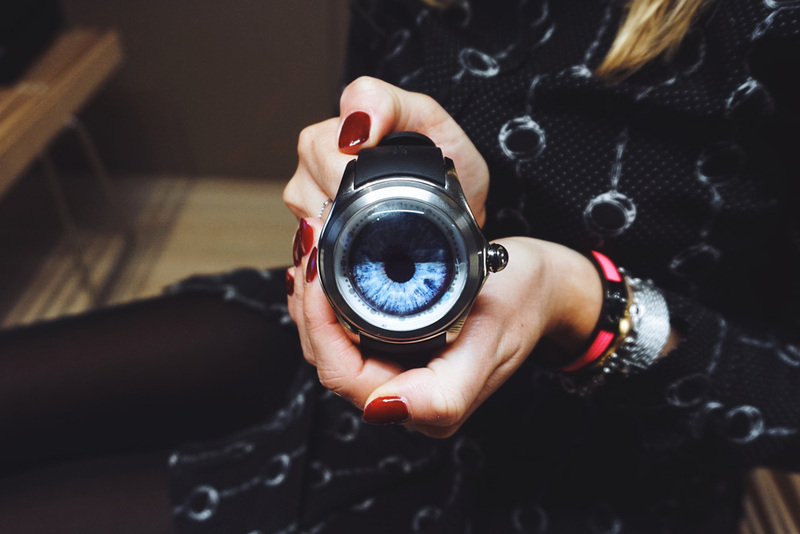 The Bubble watch created by Corum is one of the most unconventional watch on the market and has a communication style that is also quite radical and damn, I love that! It marks a radical change in the watch enthusiast community. Flaunting a large, round case and prominent domed crystal, the design of this watch would wow anyone that has some eccentric taste. The distortion that is caused by its large domed sapphire crystal is what makes the Corum Bubble unique and as it is so extreme, the distortion it causes gives the watch an otherworldly look. I have had the opportunity to try a few Bubble watches they have created in collaboration with different artists such as Juliette Jourdain or Matteo Ceccarini and even though they all fitted perfectly my wrist (wink wink), the one that was born from the collaboration between the Canadian photographer Matt Barnes and the Swiss master watchmaker truly made its path to my heart. Having photographed Snoop Dogg, Bradley Cooper, Nick Wooster and Lexi Belle, amongst others, Matt Barnes unites vintage and modern in images that catch the eye. Describing himself as a man with his head in the clouds but his feet on the ground, he could only bring something that would greatly fit the Corum’s DNA. As I am Parisian, I instantly liked its prominent dark colour. Combining an old-school and pop style, the dial showcases a voodoo figure with subtle interplay of light and shades of colours, giving even more relief to the watch. The even more original Bubble reveals a watch without numerals that hides its hands inside the dial, heightening the mystery radiating from the model. I also adore the titanium case. It highlights the work of both the Swiss watchmaker and the talented photographer. No doubt that this watch can only fit charismatic personalities but I can totally imagine it around the wrist of a serious CEO as well as a crazy tattoo artist! Watch out! 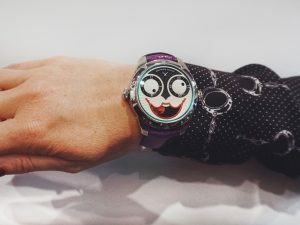 Konstantin Chaykin’s Joker!